Please fill out our Registration Form if you are a current resident of Villas at Rancho Sin Vacas and would like to access the resident's area of the website. The Villas at Rancho Sin Vacas is a beautiful community located within the gated community of Sin Vacas. 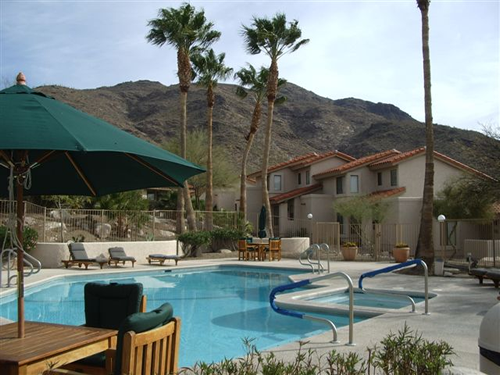 Each Villa features a breathtaking view of the Santa Catalina Mountains, as well as natural desert landscape. Indulge yourself in the fine amenities this community has to offer; a heated pool and spa, fitness center, clubhouse, and much more. The Villas at Rancho Sin Vacas is within close proximity to shopping, outdoor activities and recreation, while offering a feeling of seclusion and privacy. These are just a few of the comforts that await you at the Villas at Rancho Sin Vacas.